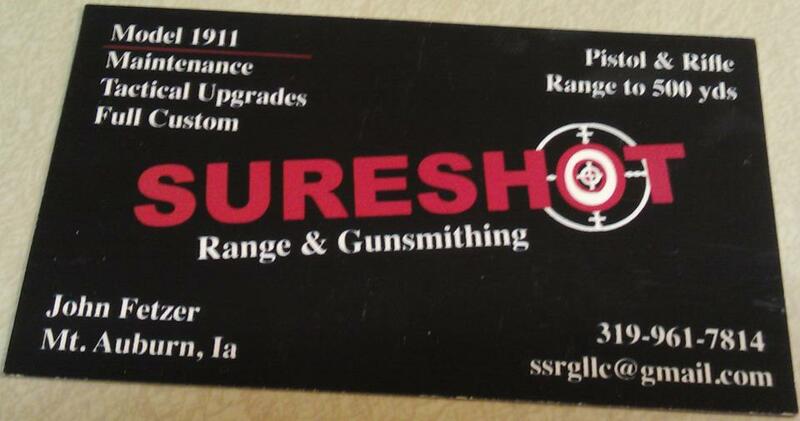 Sureshot Range & Guns is a full access gun range located 5 miles from Mt Auburn, IA (or 10 miles from Vinton). We have a total of 25 different targets split amongst 3 different shooting locations. These include paper, steel, hostage, dueling tree (spinning), plate rack, swinging steel targets. We host events like an annual machine gun shoot and bachelor (and bachlorette) parties, give us a call if you want to make a reservation. Note: all private parties get the range to themselves during the scheduled time period. Our customers really appreciate the time and privacy our range offers.